With a range of spaces & the best view WA has to offer, make Hotel Rottnest the destination for your next event. Hotel Rottnest is situated on the shores of Perth’s playground island making it the most unique beachfront location in Western Australia, perfect for your next event. With a variety of bars, dining areas, unique & spacious meeting rooms, accommodation, excellent food & beverage options and the best view that WA has to offer, Hotel Rottnest the best choice for your next event. Get work done the Island Way! Day Delegate Packages – $110/pp including Ferry Travel ex Fremantle – available from April till September 2019. Book now! Email – events@hotelrottnest.com.au or enquire below. The Governor’s dining room is situated within the newly refurbished Governor’s Residence. With high ceilings, floor boards & limestone walls, this is the perfect place for intimate dinners, small celebrations, business meeting, cocktail parties & boardroom lunches. In the winter the Governor’s dining room is an ideal location for a warm & comfortable meetings, lunches, dinner, or just relaxing in front of the fire place. The Governor’s bar is situated with an adjoining door to the dining room. With twin doors opening out onto the verandah overlooking Thomson Bay, this is the perfect place to start a Governor’s Dining Experience with canapes & champagne as you look out back at the Perth skyline. The Governor’s verandah is the perfect place to relax while taking in idyllic views over Thomson Bay with one of our house made cocktails. Seating is available for up to 25 guests on the Governor’s verandah and comes as part of the hire package for the Governor’s Dining Experience. experience for your next celebration. With the island beauty at your doorstep, tailor your Rottnest Style corporate event with breakout sessions on the beach, Segway tour on your lunchbreak, informative island history session with afternoon tea, team-building cricket match on the beach or a sundowner somewhere incredible on the island. We offer a range of delegate packages all year round whether you need an all-inclusive 3 day conference from 10 – 200 guests or a quick space to get down to business for a few hours as far away from the office as possible. The board room is fully equipped for meetings & small conferences, with french doors opening to an outside covered patio that offers excellent views. The room is ideal for management meetings, conferences or training days & can be set in a variety of styles to suit. The balcony area situated just outside the boardroom is the ideal area for breakouts & morning or afternoon tea. Staying with us during an overnight conference, reception is right next door to the boardroom – allowing for easy check in for corporate groups, so you can get on with business. 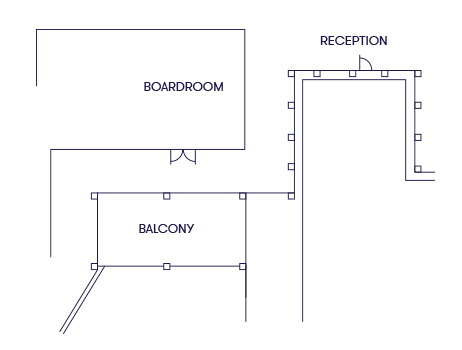 Allowing for up to 35 guests pending room configuration layout, the boardroom is a versatile but intimate meeting room & comes complete with whiteboard, integrated projector and flip charts as standard. All our meeting rooms are complete with conference kits containing branded notepads, pens, mints & wi-fi vouchers. Simply plug in your laptop and get down to business. The island bar south area is one of the best spots at Hotel Rottnest to host a large private birthday party or corporate launch. 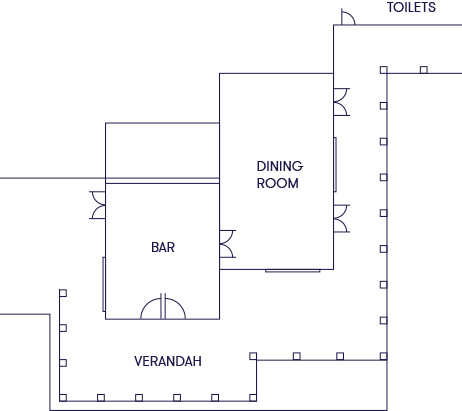 When hiring this area is serviced by it’s own bar & contains a selection of mixed high & low furniture. With the ability to include giant jenga and connect four it’s definitely the best spot to be. The north side of the island bar area contains large stone stables with fixed seating, ideal for either complete hire for larger groups or individual tables for smaller groups. Celebrate with a dining or beverage package & surround yourself in fantastic atmosphere and service. 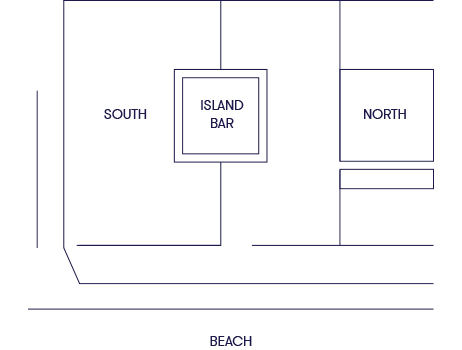 The island bar is a versatile area great for any size, which provides a great year-round view of Thomson Bay. At night festoons among the tree’s provide delicate mood lighting. In venue speakers take care of the background music & help set the mood for your next celebration. Contact us regarding functions / conferences and Celebrations. We would love to hear from you and help organise your next event! We’ve got a space & a package to suit any occasion. Let us plan your next party, birthday or big celebration. We look forward to making your event that little more special. We’ve got a space & a package to suit any meeting or getaway. Let us plan your next conference, meeting or team building day. We look forward to making your event that little more special.